Never mind raising a child. It takes a village to stage a high-power clinical trial for neurodegenerative disease. Or rather, make that a global network of dedicated doctors and scientists. In the field of amyotrophic lateral sclerosis (ALS), the Northeast ALS Consortium (NEALS) is the hands-down largest and hardest-working township in North America. In the 16 years since its inception, NEALS has run 10 drug trials and produced promising data on treatments such as the neuron protector dexpramipexole, now in Phase 3. The group is currently completing enrollment of a 600-person, 62-site Phase 3 study of ceftriaxone, the first compound in ALS to target not neurons, but glia. Our mission is to get interesting science to patients as quickly as possible, said Breen Power, the group’s marketing and outreach manager at Massachusetts General Hospital (MGH) in Boston. When you have an experienced group that is ready to go, you are not inventing the wheel every time. Running trials is just one part of what NEALS does. The consortium is a leader in the ongoing search for biomarkers that would speed up trial results. Its six trial datasets from previous trials and biological sample repository, including cerebrospinal fluid (CSF), blood, and other material, have made NEALS a resource for any scientist with an interest in ALS. Soon, NEALS plans to become a central source of information for people who have the disease, offering an expert hotline, Webinars, patient advocacy training, and a clinical trials database. Researchers have come to learn that ALS trials cannot succeed without collaborations such as NEALS. There have been treatment trials before, but the sole available medication, riluzole, extends life by only a few months. What is the holdup? In addition to science’s lack of a full understanding of the pathology, ALS is a rare, orphan disease. Although some 5,000 people in the U.S. receive an ALS diagnosis every year, the disease fells most of its victims within five years, so only 20,000-30,000 people have it at any one time. Only some of those people are eligible and willing to participate in clinical trials, making it difficult to achieve a statistically significant group of volunteers. No one center is going to have enough patients to do even a Phase 2 ALS trial, said NEALS member Richard Bedlack, who directs the Duke ALS Clinic in Durham, North Carolina. Even at Duke’s comparatively large center, where there are approximately 400 ALS patients, many people decline to sign up for a clinical experiment or are ineligible. Beyond numbers, running a clinical trial requires careful selection of study design, outcome measures, and analysis techniques. Scientists increasingly agree that collaborators must line up their methodologies so that one clinic’s measurements are on par with another’s. NEALS unites 100 trial-capable ALS clinics in the U.S., Canada, and Europe. Headquartered jointly at MGH and the State University of New York (SUNY) Upstate Medical University in Syracuse, NEALS provides a central coordinating center to handle data and samples, and to ensure that trial designs meet standards set by the Food and Drug Administration (FDA). At SUNY, Jeremy Shefner leads a team that trains and monitors personnel at member clinics to ensure that each site takes the same approach in measuring outcomes, such as lung capacity and muscle strength. From MGH’s Neurology Clinical Trials Unit, led by Merit Cudkowicz, NEALS develops protocols, curates databases, and analyzes data. The unit also coordinates grants and contracts for NEALS. They are a tremendous resource, said Lucie Bruijn of the ALS Association (ALSA) headquartered in Washington, DC. NEALS is one of many collaborative groups in the neurodegeneration arena. For example, the Alzheimer’s Disease Cooperative Study (ADCS) based at the University of California, San Diego, is a National Institute on Aging-funded initiative of nearly 80 North American clinical sites. It has conducted 30 studies on drugs and trial measures (see ARF Webinar), and in the process has built an infrastructure for publicly funded, highly standardized, multicenter trials, which were previously the province of the pharmaceutical industry. The Parkinson Study Group and Huntington Study Group also run collaborative trials. A newer group in ALS is the Pacific ALS Consortium (PAC-10). It combines 10 ALS clinical sites in California and will hold its third annual meeting 4 November 2011 in Lafayette, California. Part of its impetus was the Golden State’s support of stem cell research via the California Institute for Regenerative Medicine, said Robert Miller, who directs both PAC-10 and the Forbes Norris MDA/ALS Research Center at the California Pacific Medical Center in San Francisco. Stem cell trials utilizing those funds must be conducted within California, Miller said; hence, the group is establishing the infrastructure to do so. It will test non-stem cell treatments as well, such as a new palliative for muscle cramps, Miller said. Unlike NEALS, which primarily includes clinicians, PAC-10 also involves bench researchers and biotech firms, Miller said. In addition, the group is working to measure and improve quality of care in member clinics. A large collective such as NEALS makes it possible to work with trial participants who represent subtypes of an already rare disease. There is a growing realization in all fields of medicine that most treatments work in particular subgroups of patients and not others (see ARF related news story on Deng et al., 2011). In ALS, people whose disease arises from mutations in the gene for the enzyme superoxide dismutase 1 (SOD1) form one such subgroup; they represent about 2 percent of people with ALS. Scientists have performed many preclinical studies with mice that overexpress the mutant human SOD1 gene. Yet all treatments that looked good in these mice subsequently made no difference in human trials (see ARF Webinar). Perhaps those treatments would work in the small population of people with SOD1 mutations? NEALS is currently conducting two clinical trials in this patient group of the molecular protein chaperone arimoclomol and a SOD1 antisense agent. This same reasoning—that a drug may stand the greatest chance of success in those patients whose mutations led to the mouse models in which the drugs did work—is part of what inspires the current drive to mount secondary prevention trials in people with autosomal-dominant AD, called the Dominantly Inherited Alzheimer Network (DIAN) and Alzheimer’s Prevention Initiative (API) (Reiman et al., 2010). Each NEALS trial is funded separately with an approach Shefner describes as pay-as-you-go. NEALS itself is a nonprofit organization. Some trials are supported by grants to the consortium, others by companies that contract with NEALS to test a product. Either way, the funding comes through SUNY or MGH, which then distributes it to participating trial centers. Principal investigators working with NEALS can hand off all tasks to the consortium, with NEALS taking care of everything from subject recruitment to results. Alternatively, investigators can run their own trials and tap a few of NEALS’ resources as they see fit. In addition to grants and contracts that are earmarked for specific trials, NEALS has a small budget for maintaining its basic infrastructure, mainly staff and space, sustained by donations from ALSA, the ALS Therapy Alliance, and the ALS Hope Foundation. With a recent anonymous donation of $480,000, NEALS is now fielding its own grant applications. It is not a lot, but it could probably fund two studies, Cudkowicz said. Contracting with NEALS can save investigators and drug companies time, said Douglas Kerr at Biogen-Idec in Cambridge, Massachusetts. Biogen engaged NEALS for the Phase 3 dexpramipexole study; otherwise, the firm would have had to find a principal investigator and vet potential study sites on its own. In fact, Kerr said, it was the promising results of a Phase 2 trial conducted by NEALS investigators that prompted Biogen to license the drug from Knopp Biosciences of Pittsburgh, Pennsylvania, where the compound was known as KNS-760704. Dexpramipexole is thought to protect neurons by promoting mitochondrial function (Cheah and Kiernan, 2010). 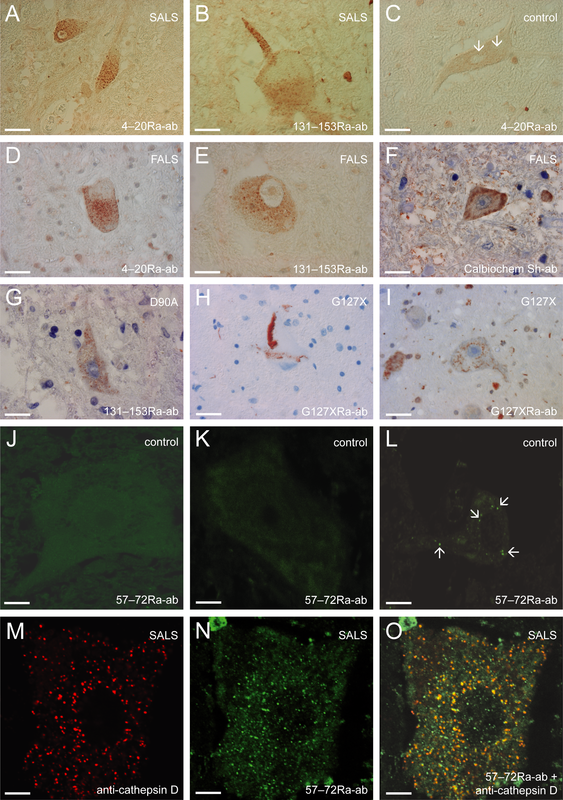 Mitochondria are part of ALS pathology; they are malformed in rodent models of the disease (see ARF related news story on Xu et al., 2010), and their DNA is damaged in autopsy samples from people who had ALS (see ARF related news story on Keeney et al., 2010). Cudkowicz and Shefner founded NEALS in 1995 amidst a flurry of excitement and optimism that ALS treatments could be on the way. That year, the FDA approved riluzole, and pharmaceutical companies rushed to repeat that success. Academic researchers found themselves rather left out of the drug discovery process. They also felt that some of the company trials did not have the best designs, Shefner said. For example, the riluzole trial used survival as an outcome. While that was enough to satisfy the FDA, monitoring survival requires large, long-term studies to discern differences between drug and placebo (Bensimon et al., 1994). Other outcomes typically measured, such as muscle strength, are tricky to quantify. Some industry teams pursued growth factors as potential treatments but, Shefner said, did not establish beforehand that the medicines could cross the blood-brain barrier. The treatments were ineffective (ALS CNTF Treatment Study Phase 1-2 Study Group, 1995; The BDNF Study Group, 1999; Lange et al., 1996; Lai et al., 1997; Borasio et al., 1998). Researchers later switched to an intrathecal method of delivering growth factors directly to the nervous system (Aebischer et al., 1996; Penn et al., 1997), but have not yet succeeded in stalling the disease. Cudkowicz and Shefner wanted a piece of the action. We thought we would have more say if we were working as a group, Cudkowicz told ARF. They teamed up with seven other New England clinics. The consortium started out with trials of two drugs: the anti-convulsant topiramate (Cudkowicz et al., 2003) and creatine, a mitochondrial pore stabilizer (Shefner et al., 2004) and neuroprotective agent (Beal, 2011). They had to stick with some imperfect outcomes, such as muscle measurements and survival, but also added the ALS Functional Rating Scale. This is a measure of how well a person performs daily tasks, such as getting dressed, and is still commonly used today. Neither treatment worked, although NEALS researchers now believe the creatine dose was too low and are trying it again in a new trial. Since then, the group has outgrown its Northeastern roots and become the force behind many top ALS trials in the U.S. As a testament to NEALS’ success, Shefner expects some 200 attendees at this year’s annual meeting 26-28 October 2011 in Clearwater Beach, Florida. This is Part 1 of a four-part series.